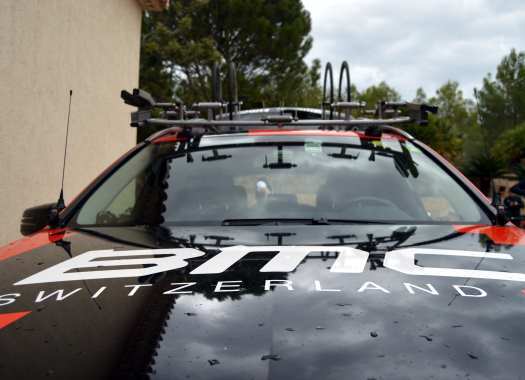 CCC Team, currently known as BMC Team, has signed Pawel Bernas. The Polish rider is the latest addition from the CCC ProContinental team. The 28-year-old includes in his palmares overall wins in the Volta ao Alentejo and the Szlakiem Grodow Piastowskich, as well as a stage victory at the Tour of China I and top-five spots at the Great War Remembrance Race and the Tour of China I. "Pawel Bernas is the latest addition to our classics team for 2019, when we become CCC Team, and will play a key role in supporting Greg Van Avermaet in the spring," said general manager Jim Ochowicz. "Pawel already has experience at some of the smaller spring classics and his result at the Great War Remembrance Race was a sign of what he can do, so we are excited to welcome him to the team. "This is a unique opportunity for Pawel to make his debut with a WorldTour team that has a Polish title sponsor and as our main focus of the 2019 season will be the classics, it is a great fit for him. Under our guidance, we hope Pawel will gain more experience and develop further not just in the classics but also stage races too." Bernas is excited about stepping to the WorldTour level. "This is absolutely the biggest step in my career so I can't really describe just how excited I am," the Polish rider commented. "Joining one of the best teams in the world was always my top goal and achieving this wouldn't be possible without the support of my family and friends, my coach, sport directors, colleagues and staff from CCC Sprandi Polkowice, and also my previous teams, so I'd like to thank them a lot for helping to make this happen. "I always believed that classics were my type of races but I needed that one good result that would prove this, so my result at the Great War Remembrance Race was definitely that self-confidence boost that I needed. I'd love to focus on one-day races next season but I also want to become a solid part of the team during stage races as well. My main goal and ambition is to develop and show my potential during the season and stay racing at the WorldTour level. It would be amazing to do my first Grand Tour and Monument and this will show that everything is going in the right direction."